Born and raised in Philadelphia, PA, Justin has always had a passion for the real estate business. 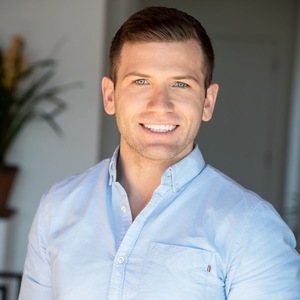 After graduating with top honors from Temple University with a BA in Finance and Real Estate, he immediately began his career in Residential Property Management before obtaining his MBA and moving to the Los Angeles area. Justin continued his work on the West Coast as a property manager in the commercial setting before moving into Residential Sales. Now apart of Compass and a team member of the Take Sunset team, Justin is loving his career and making new connections everyday. Justin brings an abundance of personal real estate experience and business background to the Take Sunset team, having worked with some of the biggest teams in Los Angeles and assisting in sales from $1M to $30M+. He’s a diligent multitasker and well-versed in the financial and legal components of real estate and brings this knowledge to the Take Sunset team. Central to Justin’s business ethos is placing the client’s needs and satisfaction first. He believes superior customer service and professional representation is key to a successful relationship. He possesses the skills to effectively negotiate and protect his clients' interests, while simultaneously providing the highest level of service. Justin continues to investigate the latest technologies, take classes to keep up-to-date on the newest real estate tools, and continuously strives to know what is happening in the market around him.